John and Clare are married and have three young children living at home with them. They currently have a large mortgage to repay, as well as around £35,000 on credit cards and loans. 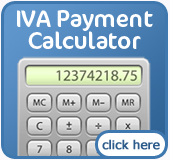 The total of all of these repayments each month means that they have more going out per month than coming in. One way that John and Clare could try to ease their debt troubles is by seeing if they can find a more competitive mortgage product. This could work quite well for them as it would reduce their monthly repayments and allow them to pay off their debts slowly. It would also be advisable to try and see if they can freeze the interest or reduce the payments on their credit cards and loans. In this situation an IVA would not be their best option as it would affect their credit and they may be asked to release some equity in their property. Similarly if they were to declare bankruptcy they would more then likely lose their home and their credit rating would be severely affected. Pete and Amanda have been married for over 20 years and have one daughter who no longer lives at home with them. Over the last few years they have accumulated a large amount of debt and their attempts to take out additional loans to meet these have left them in further trouble. They are unlikely to be successful on a debt management plan as they have struggled with their finances in the past. In this case the best option for Pete and Amanda would be an Individual Voluntary Agreement (IVA) as this would provide them with a way to pay off the debts they have and would be a much better option then declaring themselves bankrupt. Robert currently lives in council rented accommodation. He owes money through having taken out a number of loans and credit cards and only receives an income via incapacity benefit and Income Support. In this case it is unlikely that debt management would be an option since he does not receive enough income for this to work properly. His low income also means that he would struggle to pay the costs of an IVA agreement and again, this would not be a viable option for him. In this case bankruptcy would be Robert’s best option of clearing his debt, although this will severely impair his credit rating. Karen has just completed University and is currently still renting a house with her friends. Although she has just begun working she owes around £18,000 on credit cards and loans. 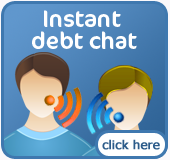 There are a number of options that Karen could consider, including a debt management programme. This will help her to pay her debts as well as being able to afford living costs. However she is likely to find that this will have an effect on her credit rating in the future. If she is making enough money she may be able to use a budget to get her finances back on track.